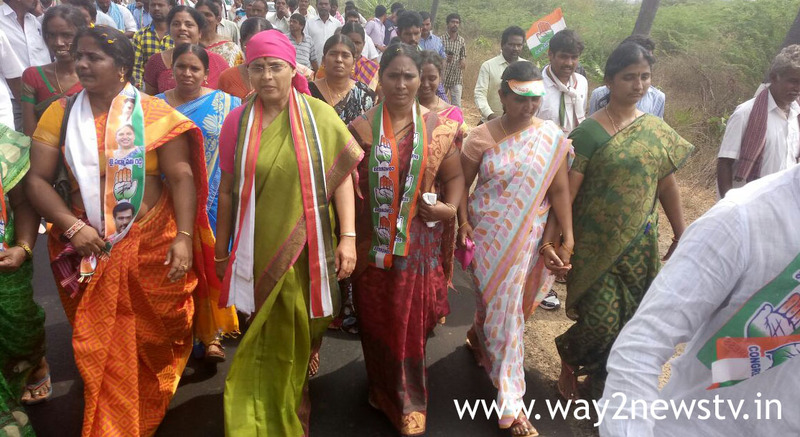 Legislative Assembly Padmavathi Reddy launched a padayatra today to increase pressure on the slums and pits of the Motti district of Nalgonda district to be filled with water scarcity. The pedestal was conducted from Palairu reservoir with an agenda like the # looming scheme as an agenda for the cultivation of paddy fields in the Mettai Mandal. The footpath will continue until the Suryapet District collector's office. Thousands of farmers, party cadres, all-party leaders and women participated.